KMH has helped hundreds of companies save thousands of dollars a year with lighting surveys and retrofitting projects that end up paying for themselves. 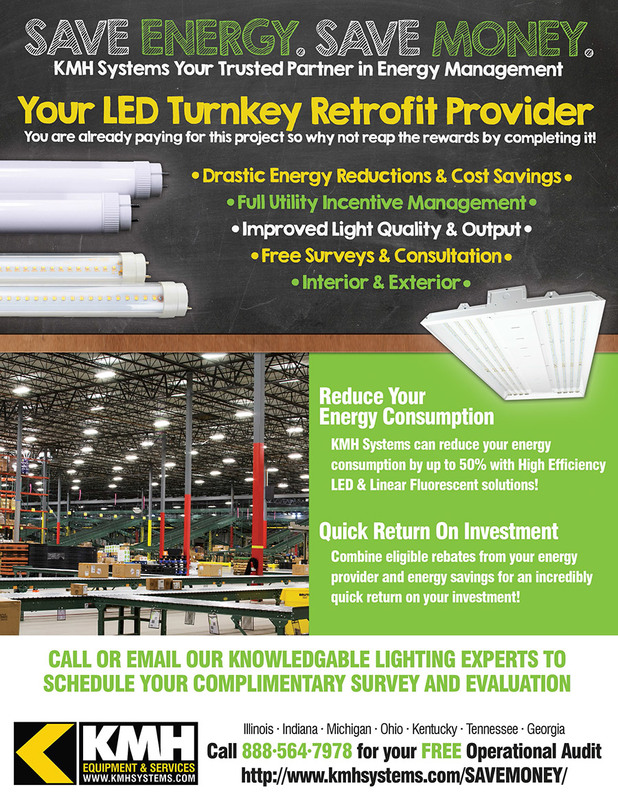 The development of LED technologies, manufacturer rebates and government incentives adds to your bottom line and new lighting fixtures have proven to have greater energy efficiency, while reducing maintenance costs due to their longer lifespan. LED technologies have come down in price, accelerating payback expectancy and helping to make retrofit projects more cost efficient altogether. With advancements in technologies, today’s lighting retrofits can create energy savings ranging anywhere from 40% to 90%, depending upon the type of project. Modern technologies are fostering significant maintenance savings due to the extended life or “burn hours” of the new lighting. Many LED technologies exhibit a rated life ranging from 50,000-100,000 hours, more than three times the life of the old T-12 and HID technologies of the past. Today’s latest-generation lighting technology delivers a better color rendering mix, better uniformity and spread of light, and better lumen maintenance (i.e., light levels will hold at higher levels for longer periods of time). Employee safety improves when areas are optimally lit with better lighting technology. Unlike Metal Halide, High Pressure Sodium, and T-12 lighting, modern LED lighting technologies eliminate mercury from facilities, creating a safer environment and “go green” image for businesses. Our team will identify those facilities in your real estate portfolio where lighting retrofit projects are the most needed with a comprehensive survey of all facility lighting, interior and exterior. We will ensure that you’re leveraging all available rebates. Check warranties, and leverage them where and when you can. Upon completion of a lighting retrofit project, make sure that you’re taking advantages of the great warranties that come with so many of today’s lamps and ballasts. When you’re thinking about what you’d like to do in 2016, here are 5 resolutions KMH can help you keep and profit from for the whole year. When it comes to your warehouse operation, since you work on it all day, every day, the New Year is a good time to look at improvements you can make. Call 888-564-7978 for your free operational audit so we can help you keep everyone safe.